We are a new company seeking to unlock the imaginations of all kids and adults everywhere. As children we are born with limitless creativity and we seek to make sure that it knows no bounds as we go older. We want everyone, young or old, to experience the endless fun of that are within our curiosity. We are a company of artists, designers, product people, and above all parents. We chase our kids all over and see the world unfolding in front of them. We seek to keep that twinkle in their eyes and keep their minds always wanting to create and be curious about the world around them. We have several products out for our new launch and will continue to launch products that fulfill these goals as we grow. We look forward to unlocking your inner Narwall! Hooplaroom sells unique accessories for kids rooms. We carefully select our product in Europe for great quality, design and functionality. 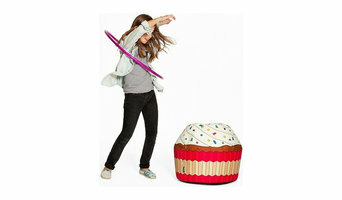 If you are looking for accessories in your child's room that you won't find anywhere else. you are at the right place! Modern custom-made wall murals for kids bedrooms, playrooms and nurseries are hand-drawn by a passionate artist and graphic designer Lana Goder. 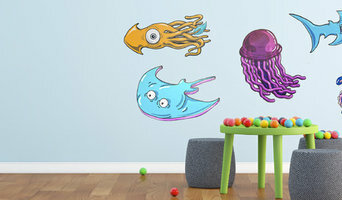 If you are not a fan of boring walls with plain colors, sticky wall decals or wallpapers, make a gift for your kids by creating bright and colorful space inspiring their imagination! KidSafe is a leading online seller of child safety and baby proofing supplies for the home. Keep your toddler safe and out of trouble with baby gates, cabinet latches, outlet covers, edge cushions, window guards, and many more items that you may not be aware of. 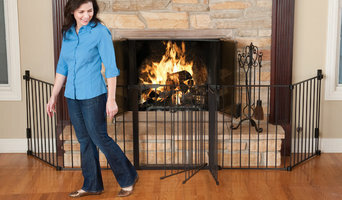 Most items are easy to install by yourself, and come in different colors or finishes to match your home. Videos and safety articles guide you in your selection, or send in pictures of your tricky conditions and we will advise you which product to use. Our motto is "Safer homes for kids, peace of mind for parents". Play Structures, Play Houses, Springfree Trampolines! Located in Mill Valley, California, we offer a huge selection of high quality outdoor products including America's finest cedar playsets from Backyard Adventures, the world's safest trampolines from Springfree, beautiful playhouses, and so much more. Whether you're searching for the perfect wooden swingset for your children, a play structure or trampoline that best fits your backyard, or a cedar shed to organize your garden tools, we have something for everyone, here at Terra Kids Outdoor. Bring the kids and visit our huge outdoor showroom. We're open every day from 10:00-5:00. The Art Pantry is a design studio specializing in children’s creative play spaces. My mission is to encourage children’s creative play and learning through inspired design. Great designers make beautiful, functional rooms. Great teachers create engaging, educational spaces for kids. I am here to do both. At Sunday in color, items come mostly from independent and small (amazingly talented) designers. When curating Sunday in color vendors, it is not only about the design, but the way these items are produced too. Most of the products we carry are independently made and produced ethically in small batches. We handpick the best from our favorite brands all around the world, it is not rare that some of these items are even introduced first by Sunday in color in the USA. An online e-commerce website for children's room decor. 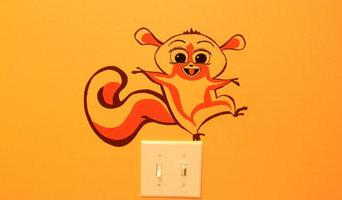 Decorate with decals or canvas giclee prints for a cost effective way to bring some joy & laughter to any child's room. Kid's love decals on their notebooks, laptops, lockers or walls. Hello. My name is Ellen Mattesi. I am the owner and director of Juvenile Hall Design, a place where children's fantasy rooms become a reality. We have created over 1200 spaces for thousands of kids in NY, LA and now SF. No matter where your family lives, we have found all kids have the same needs, inspiration, celebration, and a place to learn and explore their imaginations. As you can imagine, over the years, we have collected an endless amount of ideas that I wish to share with you. Feel free to ask questions and share your ideas. We offer a full arrange of design services from the brainstorming consultation to the custom...well, everything! If you can imagine it. we can create it. Katesplace, LLC is the manufacturer of Kupp', a drinking glass for kids, enclosed in a colorful silicon sleeve. gift shop featuring high design and mid-century inspired awesomeness. Are you expecting a new addition? New parents and parents-to-be have a lot of decisions to make when it comes to furnishing and equipping kids’ rooms and nurseries. Nursery designers and kids’ decor specialists can help. From choosing a crib to picking nursery bedding, you’ll find a wide selection of children’s room designers and other experienced professionals in Richmond, CA who can help. What does a Richmond kids room and nursery designer do? Most designers who specialize in decor for kids’ rooms and nurseries will tell you that a child’s room isn’t just for sleeping in. Little ones need a space where they can learn, play and sleep safely. Furniture, blinds and even lighting have to work safely for both you and your little one. Whether you’re hunting for small or large brands, make sure you chat with your Richmond, CA designer to make sure that what you buy meets safety requirements. To choose kids’ furniture that will stand up to the rigors of active play, look for high-quality furniture that meets California standards. Make sure that each designer and manufacturer you work with is aware of any product recalls, dangerous materials and structural requirements. If you’re planning a larger project that goes beyond products, you might need to reach out to other qualified professionals for help. Here are some related professionals and vendors to complement the work of kids & nursery: Artists & Artisans, Furniture & Accessories, Interior Designers & Decorators. Find kids’ room and nursery professionals on Houzz. Narrow your search in the Professionals section of the website to Richmond, CA kids’ room and nursery designers. You can also look through Richmond, CA photos to find a room you like, then contact the designer who worked on it.